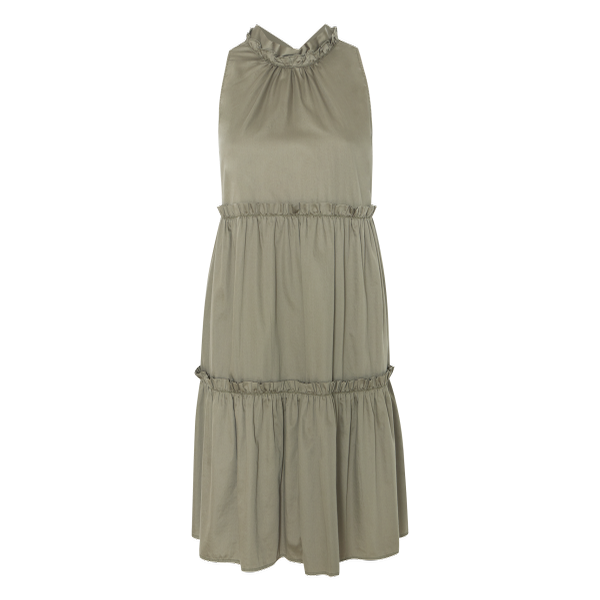 0039 ITALY Aurelie Dress (Khaki) Dresses at Blush, Ltd. The dress Aurelie impresses with feminine design and casual fit. The loose-cut model gets a romantic flair through the ruffle details on the stand-up collar with tie-string and cut-out at the back and the low-set ruffles with flounces on the skirt. On warmer days, the casual comfort and the cooling effect that guarantees the processing of 100% cotton. A must-have for your summery wardrobe!